When we last saw Philips' Shoqbox it was nothing more than a basic MP3 player with a set of decent speakers for sharing. 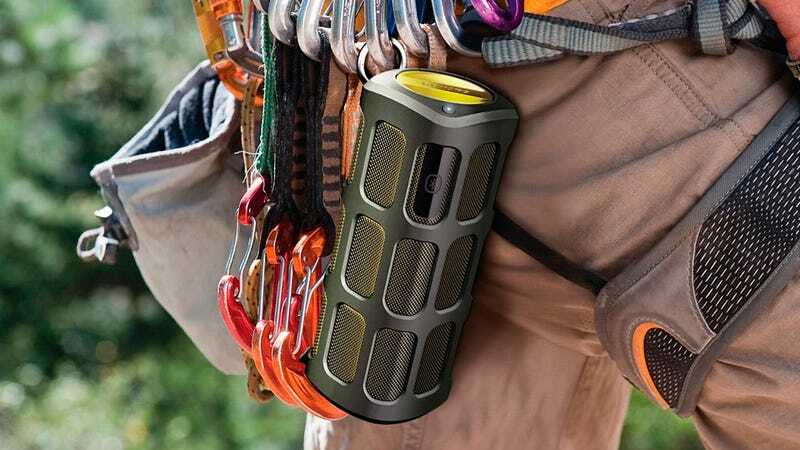 But now that Bluetooth is all the rage, it's been re-born as an extra-rugged portable speaker complete with motion sensitive controls. 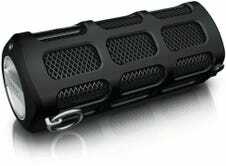 As far as wireless speaker functionality goes it comes with all the bells and whistles you'd expect, like an eight hour rechargeable battery and speakerphone functionality. But unlike the Jambox, the $180 Shoqbox can easily shrug off the occasional tumble, and it's water proof so a little rain or the occasional splash won't put it out of commission. That will certainly make the speaker appealing to athletic types who perform at their best whenever Kenny Loggins' Danger Zone is playing. But the tech-minded—and wannabe Jedis—should also find it intriguing thanks to motion-sensitive controls that let you skip tracks, or even pair a set of Shoqboxes with just a wave of your hand for true stereo sound.